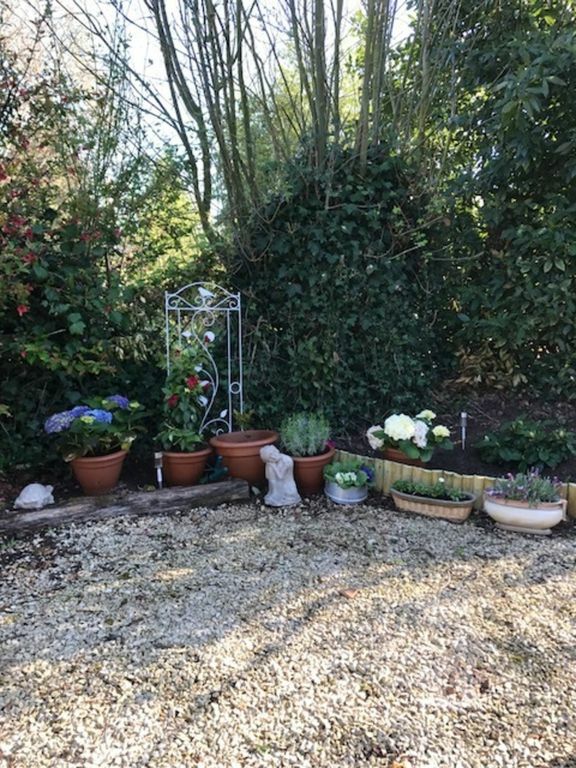 On a quiet road leading out of the village of Abzac, our quaint little cottage is a delightfully presented, fully furnished family holiday home, perfectly positioned for exploring the village and the local countryside. The main living space is open plan with a rustic kitchen, comfortable sofas and a dining area. It is an ideal cottage for 2 couples or a small family with 3 bedrooms. There is a little patio garden (laid to white stone chippings) to the back of the property which gets sun for most of the day, where you can relax, do a BBQ or simply sunbathe with a glass of Vino! The house has everything you need, including a widescreen TV with UK SKY. (The TV also works with an Amazon firestick hooked up to the Wifi to give you all the streaming channels including Netflix etc). There is a family bathroom next to the main bedroom with a Luxury New Shower toilet and wash basin. The village itself is very quiet but you have the larger towns of Availles-Limousin and Confolens nearby with their leisure amenities including swimming pools, supermarkets, quality restaurants and both overlooking the pretty Vienne river. All we ask is that you respect and look after our house and clean it yourselves after your stay. We charge a £50 cleaning deposit which is returnable after inspection. We hope you have a lovely time there.